Review of Mackowski & White, eds. 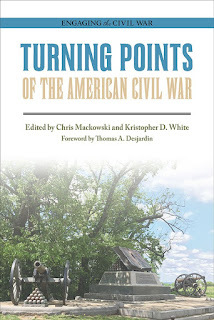 - "TURNING POINTS OF THE AMERICAN CIVIL WAR"
Thomas Desjardin's foreword to Turning Points of the American Civil War claims that western culture generally hardwires us to view the course of extended historical conflicts as a continuous buildup of events that eventually reach a culmination point (or turning point if you will) after which the outcome becomes inevitable. At least when it comes to popular thinking about long wars, there certainly does seem to be more than a little truth in this. For World War Two, Stalingrad in the European theater and Midway in the Pacific would be good examples. In the past, the Battle of Gettysburg was popularly viewed as the American Civil War's great turning point, with non-military events like the Emancipation Proclamation becoming more recently in vogue. However, today's enthusiastic readers and scholars perhaps more appropriately view great periods of history as consisting of an undulating series of momentum shifts associated with a great many turning points rather than a single one overshadowing all the rest. That seems to be the underlying philosophy behind the nine essays collected in this volume, edited by Chris Mackowski and Kristopher White. Robert Orrison's opening essays accords First Bull Run turning point status, not because of the startling Confederate triumph but rather for what occurred in its wake when General George McClellan was brought in to fix the mess. As essentially all previous scholars have done, Orrison values highly the quick turnaround and expansion orchestrated by the young general, who rapidly proceeded to create from scratch a massive and powerfully resilient instrument of war that would eventually achieve total victory in the eastern theater. Another early Virginia battle serves as the foundation of the next turning point discussed in the book. Domestic politics will always feature prominently when democracies are at war, but James Morgan's chapter appropriately points to Ball's Bluff as the watershed moment (through the subsequent creation of the Joint Committee on the Conduct of the War) in the development of counterproductive antagonism and interference between the civilian government and the U.S. military. While the JCCW had its good moments in investigating soldier welfare and ferreting out corruption in war contracts, some modern observers have powerfully argued that the committee's demonstrated willingness to destroy careers on the flimsiest of politically-motivated contexts was responsible in great measure for the Army of the Potomac's seemingly risk-averse behavior. Moving to the western theater, Gregory Mertz's essay has an interesting take on Albert Sidney Johnston's death at Shiloh, recognizing it not as a chance incident that robbed the Confederacy of victory at that particular battle (as some have argued in the past) but rather an event that robbed the country of a much-needed leader who demonstrated before his death some capability in managing the theater's famously dysfunctional high command. There's also little reason to think that Johnston, who was only four years older than Robert E. Lee, could not have grown further in the capacity of army leader, much as Lee did himself after a troubling baptism of fire. The aforementioned Emancipation Proclamation is the subject of Kevin Pawlak's contribution. In the chapter, the now typical arguments made about the presidential edict's transformative effects on the war, either immediate or down the line, are reviewed. Also discussed are the many ideological and practical obstacles that were managed by the Lincoln administration and eventually overcome. According to editor and contributor Kristopher White, Chancellorsville was a turning point in two contrasting ways. While the battle's result could be recognized as the crowning achievement of Robert E. Lee's generalship and showed an army operating at peak efficiency (to say nothing of the combined psychological and morale edge the victory provided), in White's estimation it also best represented the moment of realization that the Confederacy could not afford the kinds of losses incurred by Lee's aggressive style of army leadership. The latter suggestion is well taken, but it also is harsh criticism without the offer of a better winning alternative. Many of Lee's attacks and counterattacks were demonstrably ill-advised, but broad critiques of Lee's casualty rates often fail to take into account situational factors beyond the general's control. The eastern Confederacy faced a vastly superior opponent on a front that lacked depth. No great geographical barriers to Union advance existed, and with opposing capitals so close together there was no ability to trade space for time or to isolate the enemy in the interior. There was also the added disadvantage that Union forces could draw supply via land or sea from practically any point between capitals. Unless the Confederates were willing to accept a siege of Richmond right from the beginning, a politically unacceptable option, the enemy had to be driven back at some point. Given the weapons and tactics of the time, that process would inevitably be accompanied by heavy loss. Returning to the western theater, Daniel Davis looks at Vicksburg both as an important military victory and as the turning point in launching U.S. Grant's military career and reputation into the stratosphere. The following chapter by Ryan Longfellow also deals with Grant, this time examining the famous moment after the bloody Battle of the Wilderness when the general opted to continue the advance south rather than pull back the army for refit and resupply as all previous commanders in the east had done. This was a clear message to both sides that there would be no turning back this time. On a related note, another scholar who has deeply researched the event recently determined that all accounts of the men in the ranks cheering Grant's pivotal choice were written postwar, casting some doubt on the popular view that the common soldiers immediately recognized and appreciated that a great turning point had come to pass. Though a more nuanced appreciation of John Bell Hood as army commander has emerged in recent years, Jefferson Davis's July 1864 decision to relieve Joe Johnston mid-campaign in favor of Hood remains controversial. 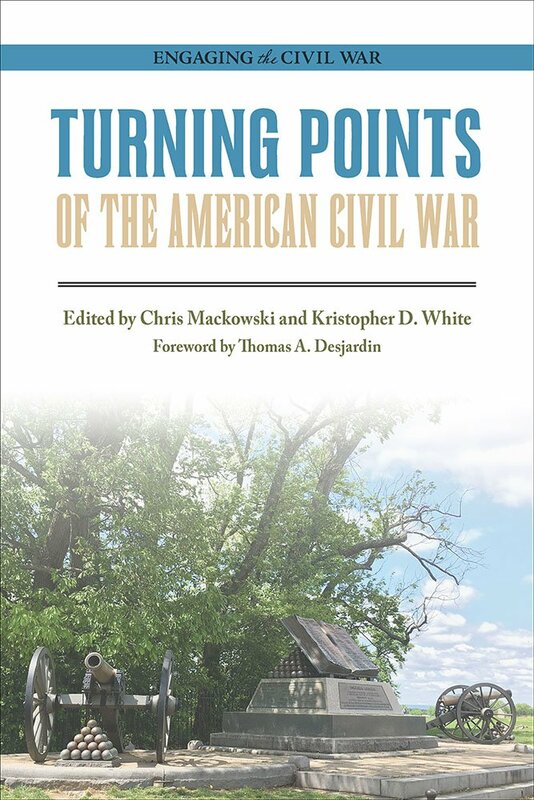 Stephen Davis's essay discusses that turning point using the contextual argument that the change in command resulted in the effective destruction of the Confederacy's primary western field army under Hood's leadership. Finally, Rea Andrew Redd champions another popular turning point, Abraham Lincoln's victory in the 1864 election, though the writer is clearly sympathetic to the view that the South's bid for independence would very likely have been crushed no matter who the next president turned out to be. In Redd's estimation, Lincoln's victory was really more of a killing blow to an already terminal cause than it was a true turning point. While advocates of the election's decisiveness often seem to forget that the inauguration date was in March and not the January of today, it's impossible to predict in what ways, if any, the demoralizing blow of a Lincoln defeat would have manifested itself in the Union war effort before the next president took office (or how a McClellan victory might have revitalized Confederate morale and determination). In addition to being thoroughly documented, all of the book's chapters are preceded by an extensive editorial introduction that adds further context to what follows. The essay contributions are also generally well supported with illustrations and maps. There are even QR codes spaced throughout the volume that take to reader to "exclusive online material, additional photos and images, links to online resources," and more. Few will raise major objections to the turning point selections contained in the book. It is interesting that none of the contributing authors really went out on a limb. Indeed, the generally familiar nature of their choices means that Turning Points will probably appeal mostly, but certainly not exclusively, to the newer reader end of the audience spectrum. Even so, the book does effectively ask all readers to reconsider at least some of their preconceived notions, and it will undoubtedly prompt all to ponder which turning points they would choose if asked to contribute to a similar project. 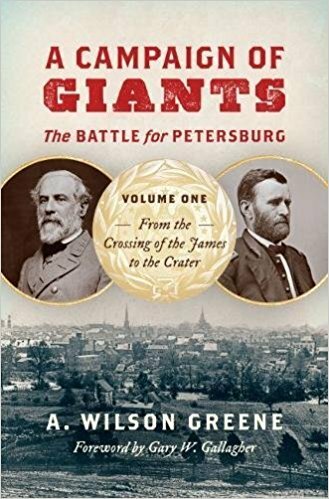 Early look at "A Campaign of Giants"
Yesterday, I received in the mail a late galley of a highly anticipated 2018 title, A. Wilson Greene's A Campaign of Giants: The Battle for Petersburg, Volume 1 - From the Crossing of the James to the Crater (UNC). The first of a trilogy that when finished will comprise the first truly full-length military history treatment of the Petersburg Campaign, Volume One covers the first three major Union offensives in over 500 pages of text. In the preface, Greene describes his narrative's goal as balancing small-unit tactical detail with a variety of campaign-level contexts. I've only been able to quickly glance through everything, but that looks like an accurate representation of what we'll get. The great focus will be on maneuver and battle, but there is a lengthy chapter describing civilian life in Petersburg during the summer of 1864. The nearly 50-page bibliography contains the expected depth and range of sources, including a huge array of archival materials located in repositories all over the country. The maps are a bit of a pleasant surprise. In the realm of cartography, it almost feels like a return to university press books of the 1990s, with 34 attractive operational and tactical scale maps (the latter depicting action at the brigade and regimental levels). The press describes the book as a 2018 "lead title," and it certainly does appear that they've put max effort into its content and presentation. Expect a June release. According to the description, Larry Tagg's The Generals of Shiloh is (as predicted) modeled after its predecessor, The Generals of Gettysburg: The Leaders of America's Greatest Battle (1998). Unfortunately, I've never read the earlier work so I can't offer any first impressions regarding new features or improvements. 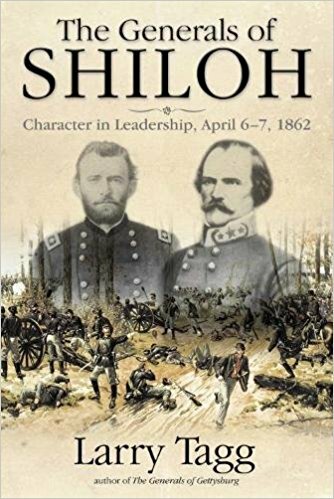 Tagg's The Generals of Shiloh "presents detailed background information on each of his subjects, coupled with a thorough account of each man’s actions on the field of Shiloh and, if he survived that battle, his fate thereafter. Many of the great names tossed up by civil war are found here in this early battle, from U. S. Grant, William T. Sherman, and Don Carlos Buell, to Albert S. Johnston, Braxton Bragg, and P.G.T. Beauregard. Many more men, whose names crossed the stage of furious combat only to disappear in the smoke on the far side, also populate these pages. Every one acted in his own unique fashion and in a manner worthy of study. This marriage of character (“the features and attributes of a man”) with his war record, offers new insights into how and why a particular soldier acted a certain way, in a certain situation, at a certain time." Given that colonels led many brigades at Shiloh, the book also includes those lower ranking officers that were acting brigadier generals during the battle. The book eschews footnotes and traditional bibliography in favor of a Critical Bibliography, with the stated reason behind the decision being that the volume is "not intended as a new definitive battle or campaign history." Book marketers often trumpet the importance to sales of online customer ratings. However, this "free" promotion strategy comes with its own set of pitfalls. Of course, any reasonable prospective buyer will ignore these gems, but extreme negative rating outliers probably do do some harm when the ratings total is very small and the unsuspecting viewer only sees the tainted overall score. On the other side of things, unwarranted five-star "reviews" are probably even more common, but they're just not as fun to read. 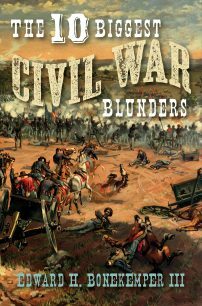 • The 10 Biggest Civil War Blunders by Edward H. Bonekemper III (Regnery History, 2018). 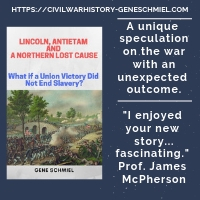 Discussing Civil War 'what-if' scenarios has always been a popular pastime, and many article and book authors have published their own personal lists of "moments when the outcome of the war (and therefore world history) hinged on a single small mistake or omission." The late Edward Bonekemper (he passed away during the production of this title) came up with his own set in The 10 Biggest Civil War Blunders. In it, he "shows how these ten blunders significantly affected the outcome of the war, and explores how history might easily have been very different if these blunders were avoided." In numbers, the list is very weighted toward Union failures to destroy enemy armies and/or take key cities earlier than was achieved historically. Bonekemper criticizes Halleck for not capturing the Confederate army at Corinth in 1862 (and for dispersing his own forces after taking the town), McClellan for not destroying Lee at Antietam, the Union high command for not taking Mobile much earlier, Sherman (and presumably also McPherson) for flubbing the Snake Creek Gap opportunity, Grant and his crew for not seizing Petersburg in June '64, and finally Sherman for allowing enemy armies to escape his grasp at both Atlanta and Savannah. The Confederates are damned on similar lines, with the author censuring Lee's conduct of the Gettysburg Campaign while also condemning the entire Confederate high command during the Chickamauga/Chattanooga campaign for not destroying the Army of the Cumberland and retaining control of Chattanooga. A pair of Confederate strategic mistakes—the cotton embargo and the unwillingness to enlist slaves in the army (hmm)—round out Bonekemper's list of ten. Review of Wills - "INGLORIOUS PASSAGES: Noncombat Deaths in the American Civil War"
By traditional calculations, Civil War combat fatalities represent around one-third of the total figure of 620,000 deaths, with the rest succumbing to disease and a great host of other factors exclusive to enemy fire. Clearly, being a Union or Confederate soldier was incredibly dangerous at every stage of the military journey between enlistment and demobilization. Noncombatants also fatally suffered in large numbers, though the true scale remains completely open to debate. Through direct exposure to marauding armies, employment in often unsafe war industries, and general deprivation, civilians found the existing perils of mid-nineteenth century life both magnified and expanded in number during war. 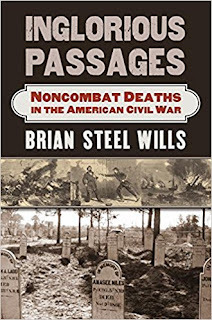 It is these lesser-heralded agents of death and their legions of military and civilian victims that are the subject of Brian Steel Wills's latest book Inglorious Passages: Noncombat Deaths in the American Civil War. Inglorious Passages is organized into themed chapters, with a fair bit of overlap between them. The nature of the study is overwhelmingly descriptive, with introductory-level context and analysis mostly concentrated at the beginning and ends of each chapter. A typical page has multiple accounts of individual and/or group deaths, so it's conceivable that Wills has collected a thousand or more personal anecdotes in his survey. This is quite an impressive compilation. As the notes and bibliography indicate, these personal stories and group tragedies were primarily extracted from the existing literature. The following paragraphs offer a general rundown of the book's contents. The volume begins with discussion of some of the war's earliest deaths. Railroad accidents were common, with soldiers dying from their own negligent riding practices as well as collisions and derailments beyond their personal control. In many cases, here and elsewhere, alcohol fueled poor decision-making. In camp, soldiers could die from a myriad of diseases and were the victims of accidents of all kinds (from firearm mishandling to drowning while bathing or doing laundry). Suicide and an extreme form of homesick depression they often called "nostalgia" (among other things) felled many individuals. The fighting men could also be their own worst enemies, killing their own comrades through murder, duels, picket line confusion, battlefield friendly fire, and incredibly dumb pranks like tossing live shells into a campfire. Far from the battlefields, disease and malnutrition killed POWs in large numbers, but others were shot by guards or killed by fellow prisoners. Military justice, summary executions, and deadly retaliation for perceived enemy violations of the rules of war also ended the lives of soldiers. Non-human sources of mortal peril also had to be navigated by Civil War soldiers. Domesticated animals were essential to maintaining the armies but could also be deadly, with many officers and men killed by falls from their mounts or trampled underfoot during a variety of circumstances. As it has always been, the natural world was an unyielding foe to the fighting men of both sides. Wild animals, like snakes, killed men, and mother nature herself in the form of lightning, floods, roaring streams, burning sun, and freezing cold spelled doom for innumerable soldiers. Naval service had its own particular dangers. Nautical mishaps (both inland and at sea) often proved to be the greatest of Civil War mass killers, with large groups of men lost in a single stroke during countless ship collisions, boiler explosions, swamped boats, and hurricane-level storms. In addition to those group tragedies, individuals were frequently swept off of heaving decks and rigging, and others were lost during careless disembarking or transfers between vessels. In the civilian sphere, many deadly accidents were tied to the war's unprecedented scale of industrial expansion in combination with masses of inexperienced workers operating in unsafe conditions. The machinery itself in all kinds of industries could be deadly on an individual basis, but small mistakes by workers employed in powder mills and shell/bullet/percussion cap factories led to tremendous explosions and mass casualties. Many of these are described in the text in quite graphic detail. Innocent civilians also died at home from guerrilla attacks, regular soldier abuses, and Indian raids. Additionally, they could be collateral victims of battle, die from exposure as refugees, or succumb to disease epidemics spread by passing armies. Though the book's conclusion does very briefly recognize the shortened lives of many survivors, those postwar psychological and physical casualties could easily have merited their own chapter in the study. Other readers might be disappointed with the book's overall lack of quantitative features and commentary. It would have been interesting to at least read the author's thoughts on James McPherson's oft-cited (but unvalidated) estimate that up to 50,000 civilians died during the war or Michael Fellman's similarly unsupported speculation that as many as 10,000 noncombatants were killed in Missouri alone. Inglorious Passages is not an easy book to read all at once. It is an unrelenting encyclopedia of deadly woe, but Wills writes with such grace and pathos for the victims and their tragic circumstances that he eases the reader's own passage through such a dispiriting but important topic. 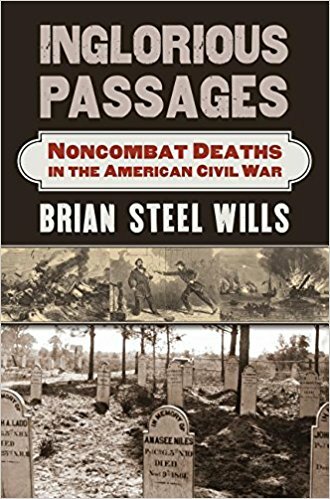 It is a good thing that Civil War readers are frequently reminded of the full range of war's human cost, and Brian Steel Wills's sensitive, unique, and all-encompassing examination of noncombat deaths is a notable contribution to the literature. Highly recommended. Civil War in the Southwest Borderlands, 1861–1867 by Andrew E. Masich (Oklahoma). Trans-Mississippi Theater: The Three Battles of Sand Creek: In Blood, in Court, and as the End of History by Gregory F. Michno (Savas Beatie). Western Theater: The Battle of Peach Tree Creek: Hood's First Effort to Save Atlanta by Earl J. Hess (UNC). Eastern Theater: Meade and Lee After Gettysburg: The Forgotten Final Stage of the Gettysburg Campaign, from Falling Waters to Culpeper Court House, July 14-31, 1863 by Jeffrey William Hunt (Savas Beatie). Civil War Logistics: A Study of Military Transportation by Earl J. Hess (LSU). Joseph Brown and His Civil War Ironclads: The USS Chillicothe, Indianola and Tuscumbia by Myron J. Smith, Jr. (McFarland). Occupied Vicksburg by Bradley R. Clampitt (LSU). Psychological Consequences of the American Civil War by R. Gregory Lande (McFarland). The First Republican Army: The Army of Virginia and the Radicalization of the Civil War by John H. Matsui (Virginia). A Union Indivisible: Secession and the Politics of Slavery in the Border South by Michael D. Robinson (UNC). Civil War Pharmacy: A History (Second Edition) by Michael A. Flannery (SIU). The Cavalries at Stones River: An Analytical History by Dennis W. Belcher (McFarland). American Civil Wars: The United States, Latin America, Europe, and the Crisis of the 1860s edited by Don Doyle (UNC). Tejano Tiger: Jose de los Santos Benavides and the Texas-Mexico Borderlands, 1823-1891 by Jerry Thompson (TCU). Recollections of a Civil War Medical Cadet: Burt Green Wilder edited by Richard M. Reid (KSU). The Battle of Lewisburg: May 23, 1862 by Richard L. Armstrong (35th Star). The Army of Tennessee: Organization, Strength, Casualties, 1862-1865 by Darrell L. Collins (McFarland). The Election of 1860: A Campaign Fraught with Consequences by Michael F. Holt (Kansas). With some notable exceptions, it seems to be more and more the case now that publishers are leaving the middle part of the year comparatively open and end-loading their release schedules. Maybe the process has never been quite as evenly dispersed as I recall it to have been just a few years ago, but having so many of the best-sounding titles come out in late fall and early winter necessarily stresses my available reading time and delays my list. It also doesn't help that the time between release date and actual arrival of review copies keeps getting longer. Anyway, these are the reasons why it's nearly the end of January and my year-end book "awards" list still hasn't appeared on the site. However, this weekend I decided that enough was enough and it was time to just get the list out regardless of how many 2017 titles I still wanted to read. The 1864 Battle of Mobile Bay and all the ironclad bashing and torpedo damning that went on there have always overshadowed the land campaign that led to the actual fall of the port city the following spring. For such a large-scale military operation, it remains a bit of a surprise that no truly meaty accounts exist yet. As far as I know, the most substantial study available is Sean Michael O'Brien's Mobile, 1865: Last Stand of the Confederacy (2001). At the time I read it, I thought it was a fairly decent overview, although I seem to recall that it felt a bit too thin even for what it was and had terrible maps. I haven't revisited it since. This summer, Casemate will publish The Last Siege: The Mobile Campaign, Alabama 1865 by Paul Brueske. If the page length indicated at the link above is accurate, then it's pretty much the same physical size as O'Brien's book. Hopefully, Brueske's work will prove more satisfactory in content and focus. The release date isn't too far off, so more information about it should emerge soon. 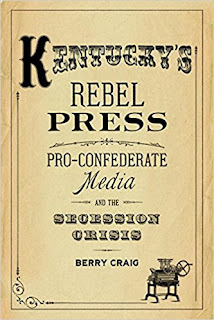 Review of Craig - "KENTUCKY'S REBEL PRESS: Pro-Confederate Media and the Secession Crisis"
The American press's participation in the antebellum sectional debates over slavery and the conduct of its partisan organs during the 1860 election and secession crisis have both been richly explored in the historical literature. However, Kentucky historian Berry Craig argues that Border State newspapers have been comparatively neglected in this otherwise rich body of scholarship in favor of those plying their trade in the northern and southern states. 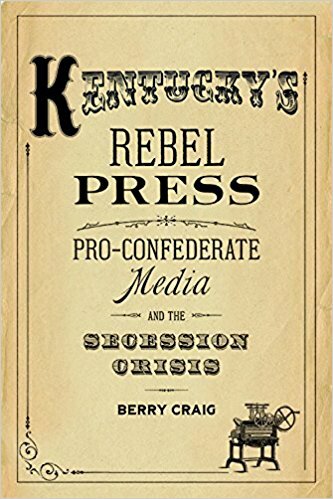 His new book Kentucky's Rebel Press: Pro-Confederate Media and the Secession Crisis seeks to address this perceived deficiency. According to Craig, there were around sixty Kentucky newspapers in operation at the time of Lincoln's election to the presidency and nearly half of them represented the views of the States Rights Party. For the most part, these twenty-eight papers editorially supported the candidacy of John C. Breckinridge in 1860, and many of them espoused outright secession for Kentucky (or at least expressed great sympathy for the revolutionary gestures of the Deep South) once it became clear that a dreaded "Black Republican" administration would run the federal government for the first time. With Kentucky's nationalism deeply ingrained through pride and long-standing tradition, the author is clearly cognizant of how incongruous it might seem to find so many of the state's newspapers willing to countenance disunion. The study begins with a very brief survey of the state of newspaper journalism in Kentucky during the years leading up to the Civil War. Unsurprisingly, the Bluegrass press operated in much the same manner as elsewhere, with many papers working in close alignment with particular parties, political causes, and politicians. Its members wielded editorial prerogative to puff up favorites and blast enemies with equal aplomb and often demonstrated highly variable adherence to truth finding. Apparently, it is the case that more than a few Kentucky newspapers have been completely lost to history, with no known surviving copies of any issue. However, that is certainly not generally the case, and the book usefully profiles a good number of important pro-Confederate newspapers from across Kentucky. Together, the Louisville Courier, Kentucky Statesman (Lexington), Columbus Crescent, Frankfort Yeoman, Hickman Courier, Paducah Herald, Cynthiana News and Covington Journal seem to offer today's reader a fairly representative sampling of the pro-secession rhetoric that Kentucky citizens were exposed to during the secession crisis and beyond. Many cities and towns had more than one paper, with local editors dueling from both ends of the ideological divide. Some readers subscribed only to those papers closest aligned with their own personal views while others took a wider approach. Given that Confederate sympathies ran deepest in the Jackson Purchase, it is no coincidence that many of the papers referenced in Craig's study were located in western Kentucky towns. Of course, it is often useful when studying a partisan press to juxtapose it with the opposition, and a large part of Kentucky' Rebel Press is devoted to following the fiery, and often entertaining, ink battles fought between the secession-sympathizing Louisville Courier and George Prentice's pro-Union Louisville Journal. The contrasting political and social perspectives of both sides, as recounted in the book, will already be familiar to many Civil War readers. While secession and Union ranks in Kentucky were both populated with anti-Republican men sharing similar conservative pro-slavery views, they differed fundamentally on how best their perceived interests would be served. States Rights newspaper editors believed that the Lincoln administration posed a clear and present danger to slavery where it already existed, and only an alliance with the southern Confederacy would secure their slave property and prevent inevitable federal emancipation and imposition at gunpoint of black social and civil equality with white Kentuckians. Kentucky's Unionist newspaper editors also held Lincoln and Republicans in low regard, but felt that slavery and white supremacy in society and politics were best preserved within the existing Union, where these vital interests would be sustained through existing laws, the court system, and the traditional separation of powers. The mere election of a Republican president was not sufficient grounds in their view for taking the drastic step of secession. The book's bent seems to suggest that Craig joins most modern scholars in elevating socio-political concerns over economic ties between Kentucky and the North as the predominant force behind Unionism in the Bluegrass State. The book also provides a series of informative biographical sketches of some of the more compelling personalities behind the newspapers profiled inside. While the long-term duel and relationship between proslavery Unionist George Prentice and Courier publisher Walter N. Haldeman predominates, many other lesser-known figures associated with the pro-Confederate press in Kentucky are brought forward (among them Len Faxon, John Noble, Samuel Major, Thomas Monroe, A.J. Morey, and several others). After Union military authorities moved quickly to suppress the "rebel press" in September 1861, a few of the most notorious editors were jailed for a period of time, some went south to join the Confederate Army, and others either closed shop or changed their tone. Interestingly, some of their most bitter professional enemies in the Union press lobbied for their release from imprisonment on free speech grounds. Craig's study effectively charts the operational lifespan of Kentucky's rebel press from its origins during the 1860 election through its fatal weakening upon neutrality's ending in September 1861 (though one might argue that its ultimate demise didn't occur until early 1862, when shielding Confederate forces were forced out of the state completely). Initially, the Breckinridge press did not support immediate secession, but this cautious stance gradually transformed when Deep South states started to leave the Union. After the shooting war began, the pro-Confederate press, still unable to convince Kentucky voters to embrace secession, reluctantly supported neutrality as the next best option. As the book demonstrates, the critical moment came in August when Kentucky voters again decisively rejected States Rights candidates. This air of finality was reinforced the following month, when both armies flooded into the state after the Confederates unilaterally occupied Columbus and the state legislature demanded that only the Confederates leave. A consistent theme throughout the book is the secessionist press's continual misreading, either willfully or through delusion, of popular support for their cause. The author admits that useful Civil War era newspaper circulation numbers are folly to estimate (let alone pin down) and the impossibility of retroactively applying scientific polling will always render unattainable any really authoritative assessment of the level of support for secession in Kentucky during the critical 1861 period covered in the book. However, as the author repeats, the commonly cited series of 1861 state election results (all of which occurred before Kentucky came under federal occupation) and the great disparity in volunteers between sides (which certainly could have been affected by the presence of Union bayonets from late 1861 onward) remain strong arguments for the state's fundamental Unionism. The author also adds an interesting coda to his narrative with a final chapter looking at the postwar resurgence of the rebel press. Kentucky's embrace of the "Lost Cause" has been well documented in the literature (most recently by historians Aaron Astor, Anne Marshall, Christopher Phillips, B.F. Cooling, and others), and Craig cites the commercial success of returning pro-Confederate press editors. Perhaps most striking was the case of Haldeman's reestablished Courier, which rapidly overtook its old foe the Journal in circulation and purchased the competition in 1868, launching the combined Louisville Courier-Journal. Ultimately, Kentucky's Rebel Press cannot help answer the age-old question of whether an open press most often drives public opinion or is representative of it, nor does the volume really contribute any particularly fresh insights into the limits of free speech during wartime, but Craig's study certainly does serve a very useful purpose as a history of Kentucky's pro-Confederate press and its decidedly unsuccessful campaign to take the Bluegrass State out of the Union. by Thomas B. Ostrom (McFarland, 2018). 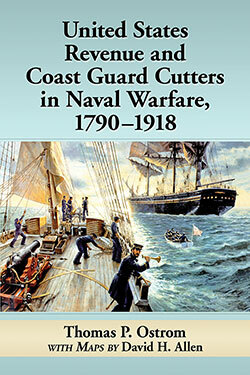 Thomas Ostrom's United States Revenue and Coast Guard Cutters in Naval Warfare, 1790-1918 "covers the history of the U.S. Coast Guard from 1790 under Treasury Secretary Alexander Hamilton, when the Service was called the U.S. Revenue Marine, to World War I, during which the naval agency, then called the U.S. Revenue Cutter Service, was combined with the U.S. Life-Saving Service to form the U.S. Coast Guard in 1915. The Coast Guard has historically served with or under the U.S. Navy in national defense missions. More from the description: The maritime conflicts in that time frame include a war with France; War of 1812-1815; clashes with pirates, slave ships, and the Seminole Indians; War with Mexico; the Civil War of 1861-1865; Spanish-American War (1898); and World War I (1914-1918). The Great War involved the USCG and USN in domestic and maritime missions across the Atlantic to Europe, merchant ship convoy escorts, and anti-submarine warfare. The naval period surveys the evolution of wooden hulled, wind powered sailing ships to fuel powered iron hulled vessels. The historical geography of the wars is illustrated with maps created by retired IBM engineer and military historian David H. Allen." Desperately short of seaworthy ships and with no way to produce new ones in needed numbers, the Confederate Navy made U.S. revenue cutters a key target for capture and repurposing. Three chapters in the book cover the Civil War years. In around 35 pages, these sections discuss the opposing navies and the revenue cutter service during the Civil War. A historiographical assessment of the naval literature is also provided. I always encourage authors of self-published books to contact me directly, but in the great majority of cases I come across their work completely at random. An interesting-looking recent "discovery" is Quita Shier's Warriors in Mr. Lincoln’s Army: Native American Soldiers Who Fought in the Civil War (Author, 2017), a roster and document study of an unusual all-Indian unit, Company K of the 1st Michigan Sharpshooters. The 'Look Inside' tool found through the link above reveals quite a bit about the book's contents, which are apparently the culmination of 26 years of research on the part of the author. Company K was composed almost entirely of Anishinabeck, the word meaning "People of the Three Fires" in reference to the three major Michigan Indian tribes (the Chippewa, Ottawa, and Potawatomi). All but three members of the company were Anishinabeck. Of the 140 men that served in the unit, a total of 41 men and 1 officer died from all causes. Warriors includes a very brief overview of the unit's enlistment and service history, but the central focus is on the company roster. That feature of the book comprises most of the page length and is far more expansive in nature than the kind typically found in other Civil War unit studies. In addition to the usual CSR information, the author presents biographical sketches of varying size and depth as well as full transcriptions of letters written by the men. The book is well over 500 pages, so this extra information of all kinds is quite substantial in volume. A pretty large photograph collection is also included, as are some facsimile reproductions of enlistment, oath, and discharge documents. Oklahoma may not know how to call plays very well in the waning moments of the CFB playoff, but they do continue to publish fascinating Civil War Southwest studies. The "dean" Jerry Thompson is still active, but it's nice to see a new generation of scholars interested in examining Civil War era South Texas. A sequel of sorts to his Texas Devils: Rangers and Regulars on the Lower Rio Grande, 1846–1861 (2008), Michael Collins's upcoming A Crooked River: Rustlers, Rangers, and Regulars on the Lower Rio Grande, 1861–1877 (April, 2018) will look at Civil War and Reconstruction violence "through the Nueces Strip and the Rio Grande Valley in southern Texas." From the description: "Cattle rustlers, regular troops, and Texas Rangers, as well as Civil War deserters and other characters of questionable reputation, clashed with Mexicans, Germans, and Indians over unionism, race, livestock, land, and national sovereignty, among other issues. In A Crooked River, Michael L. Collins presents a rousing narrative of these events that reflects perspectives of people on both sides of the Rio Grande." The author "brings a cross-cultural perspective to the role of the Texas Rangers in the continuing strife along the border during the late nineteenth century. He draws on many rare and obscure sources to chronicle the incidents of the period, bringing unprecedented depth and detail to such episodes as the “skinning wars,” the raids on El Remolino and Las Cuevas, and the attack on Nuecestown. Along the way, he dispels many entrenched legends of Texas history—in particular, the long-held belief that almost all of the era’s cattle thieves were Mexican." "A balanced and thorough reevaluation, A Crooked River adds a new dimension to the history of the racial and cultural conflict that defined the border region and that still echoes today." 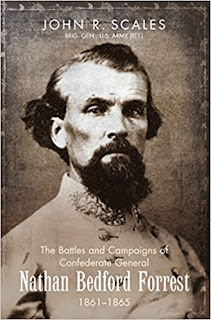 Review of Scales - "THE BATTLES AND CAMPAIGNS OF CONFEDERATE GENERAL NATHAN BEDFORD FORREST, 1861-1865"
Drawing deep interest from Civil War scholars and enthusiasts alike, the divisive historical memory and military legacy of Confederate cavalry general Nathan Bedford Forrest have both been discussed in innumerable books and articles. While cognizant of the spectrum of modern views surrounding the man, John Scales nevertheless focuses solely on the military career of the controversial general in his new book The Battles and Campaigns of Confederate General Nathan Bedford Forrest, 1861-1865. Beginning with Forrest's early war period battalion-level operations in Tennessee and Kentucky and ending with his surrender on May 9, 1865 at Gainesville, Alabama, the volume is by far the most comprehensive treatment of Forrest's Civil War command history to date. Offering essential details in a workmanlike manner, Scales's succinct operational and tactical narrative accounts encompass seemingly every skirmish, battle, and campaign that Forrest was involved in during the war, both as independent commander and subordinate officer. These events are far too many in number to mention here in summary, and it's probably safe to say that even the most well-read students of western theater Confederate cavalry operations (or just western military campaigns in general) will sometimes find themselves on unfamiliar ground. The author's approach to the source material is more narrowly targeted synthesis than exhaustive original research. Given the breadth of coverage involved, the bibliography isn't particularly large, and the footnotes indicate a core reliance on the O.R. with key support from a small but informed selection of classic and modern Forrest-related publications. As heavily as Scales leans on the best single works available for particular campaigns and battles, he does not pass on the views of those authors unfiltered. In some chapters, the footnotes clearly demonstrate thoughtful critical analysis of those sources. The Chickamauga section offers the best example of this. While Scales clearly respects David Powell's work on Forrest's conduct during the campaign, and indeed uses Powell's Failure in the Saddle (2010) to frame much of the discussion, the author disagrees with a great number of Powell's analyses and conclusions when it comes to Forrest (outlining the substance of his objections at some length in the footnotes). That said, Scales does skirt around some of Powell's strongest criticisms. It would be interesting to hear or read a formal debate between the two, as their disagreements go to the heart of one of Forrest's more commonly cited negative traits, namely his lack of performance when forced to operate in the close subordinate role. Supplementing the book's military narrative is a very large collection of mini-tours that allow the reader to follow in the hoof prints of Forrest from the beginning of the war to the end. The sheer number of these tours and the depth of attention given to the driving/walking directions provided are indicative of a remarkable determination on the part of the author to see the ground upon which every action described in the text occurred. Equal in impressiveness is the book's gigantic map collection. 109 in number and created by cartographer Hal Jesperson to support both main text and tours, they detail all three levels of military action (strategic and especially operational and tactical) in a satisfactory manner. Many readers will also appreciate the multitude of organizational tables included once Forrest's command responsibility expanded to division-level and beyond. Scales obviously admires Forrest's generalship, fully concurring with William T. Sherman's oft-repeated statement that Forrest "was the most remarkable man our Civil War produced on either side." The author surely draws on his own career as a U.S. Army special forces brigadier general in enumerating and evaluating the qualities that made Forrest so successful at so many different levels of command. In the view of Scales, Forrest possessed an uncanny situational awareness and natural ability to survey the field at a glance. The general was also a Civil War rarity in that he was equally proficient at operations and tactics. As part of the latter, he always seemed to know where to place his artillery to best effect. He was decisive and bold without being unduly rash, and excelled in intelligence gathering, employing deception, and altering original plans on the fly. Forrest additionally proved indefatigable in pursuit. Scales cites recurring examples in support of these appraisals throughout the book. Looking beyond the general's string of impressive tactical successes, the study also asserts with some justification that at several points during the war Forrest's actions also held strategic significance. For example, Forrest's Murfreesboro raid in summer 1862 did much to save Chattanooga from imminent capture (it would be over a year later before the key city was finally taken by Union forces), and one could argue, as Scales does, that Forrest's December 1862 attacks on the railroad network in West Tennessee (in combination with the more famous Holly Springs Raid) helped prolonged Vicksburg's survival by up to six months. The author can also be critical of Forrest. Scales acknowledges that Forrest's temper got the better of him on a number of occasions, but claims this potentially debilitating personality trait greatly improved as the war progressed. Forrest's compulsion toward personal reconnaissance (not trusting others to do the work) and leading from the front also meant that he was frequently wounded and out of action for periods of time. His discipline could also fail. While Forrest generally kept his men well in hand, he lost control of them at Fort Pillow. Like others have argued, Scales views the killing by Forrest's command of black troops in the act of surrendering (or after having already been captured) as the darkest stain on Forrest's war record. Beyond the brutality of it, the event also provided a propaganda boon for the other side that far outweighed anything gained from it. Scales certainly agrees that Forrest was at his very best in the independent role, but the author remains far less convinced than most of Forrest's alleged insubordination and incapacity in situations when the general was more directly under the thumb of higher ranking officers. The author would have done well to address this divergence of views in the final chapter's overall assessment of Forrest. Other complaints are relatively few in number. One can quibble with author conclusions here and there, but the main distraction as a reader is with the sheer volume of proofreading oversights. The Battles and Campaigns of Confederate General Nathan Bedford Forrest, 1861-1865 is a uniquely strong combination of narrative history, atlas, and tour guide. Anyone interested in western theater cavalry operations, and those of General Forrest in particular (of course), will benefit from reading this authoritative, and sometimes controversial, assessment of the fighting career of a general that many still consider the Civil War's greatest untutored military genius. The Confederate Navy Department is frequently cited as a particularly good example of the use of technological innovation to help offset numerical inferiority and crushing disparities in industrial might, raw materials availability, financial strength, skilled labor, and manpower. While CSA ironclads often proved to be effective weapons, they also had serious drawbacks. Many vessels, perhaps most famously the CSS Arkansas, had faulty engines or were inadequately powered as designed. The combination of a general lack of spare parts and a large pool of skilled mechanics and carpenters also meant that simply keeping these modern ships operational was frequently beyond the capability of the Confederate Navy. Nevertheless, these major problems were managed well enough to build and wield a rather impressive fleet of ironclad warships. According to Saxton Bisbee's Engines of Rebellion: Confederate Ironclads and Steam Engineering in the American Civil War , which is scheduled for a Summer 2018 release by University of Alabama Press, "(h)istorians have given little attention to the engineering of Confederate ironclads, although the Confederacy was often quite creative in building and obtaining marine power plants." The study "focuses exclusively on ships with American built machinery, offering a detailed look at marine steam-engineering practices in both northern and southern industry prior to and during the Civil War." The book will demonstrate how Confederate naval builders were able to work around the inherent structural limitations of their country's comparatively primitive industrial base. "Beginning with a contextual naval history of the Civil War, the creation of the ironclad program, and the advent of various technologies, Saxon T. Bisbee analyzes the armored warships built by the Confederate States of America that represented a style adapted to scarce industrial resources and facilities. 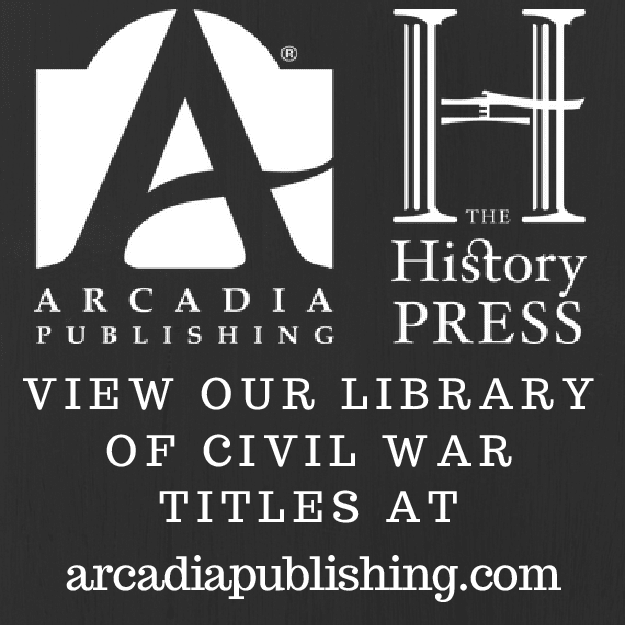 This unique historical and archaeological investigation consolidates and expands on the scattered existing information about Confederate ironclad steam engines, boilers, and propulsion systems." From the description, it does sound like the volume very well might be the kind of history and data resource that serious students of the Civil War navies crave. "Through analysis of steam machinery development during the Civil War, Bisbee assesses steam plants of twenty-seven ironclads by source, type, and performance, among other factors. The wartime role of each vessel is discussed, as well as the stories of the people and establishments that contributed to its completion and operation. Rare engineering diagrams never before published or gathered in one place are included here as a complement to the text." Interesting. • Reconstruction in a Globalizing World edited by David Prior (Fordham Univ Pr, 2018). Academic historians has been revisiting the international dimensions of the American Civil War a great deal of late (or at least it seems that way), with a number of recent full-length works and essay collections examining a great variety of transnational contexts (perhaps most interestingly those ties between the U.S., Europe, and the Americas). 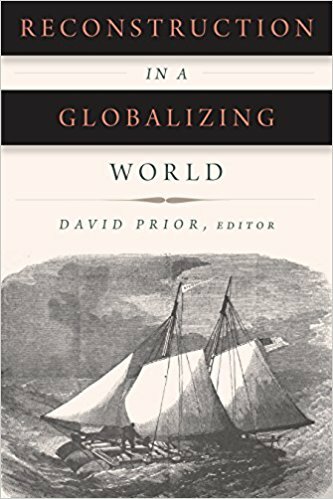 Edited by David Prior, the seven essays in Reconstruction in a Globalizing World together recognize the richness of the existing Reconstruction scholarship while offering the view that previous studies have neglected the worldwide impact of the Civil War's follow on period. "This volume, the first of its kind, will examine Reconstruction’s global connections and contexts in ways that, while honoring the field’s accomplishments, move it beyond its southern focus." More from the description: "The volume will bring together prominent and emerging scholars to showcase the deepening interplay between scholarships on Reconstruction and on America’s place in world history. Through these essays, Reconstruction in a Globalizing World will engage two dynamic fields of study to the benefit of them both. By demonstrating that the South and the eastern United States were connected to other parts of the globe in complex and important ways, the volume will challenge scholars of Reconstruction to look outwards. Likewise, examining these same connections will compel transnationally-minded scholars to reconsider Reconstruction as a pivotal era in the shaping of the United States’ relations with the rest of the world." Three chapters draw connections between education in Argentina and the U.S., Liberia College and trans-Atlantic ideologies on race and education, and Radical Republicans with the British Reform Act of 1867. Other essays investigate the Arms Scandal of 1870-72, a reinvented Irish-American nationalism, and German-American nation-building in the American Southwest. 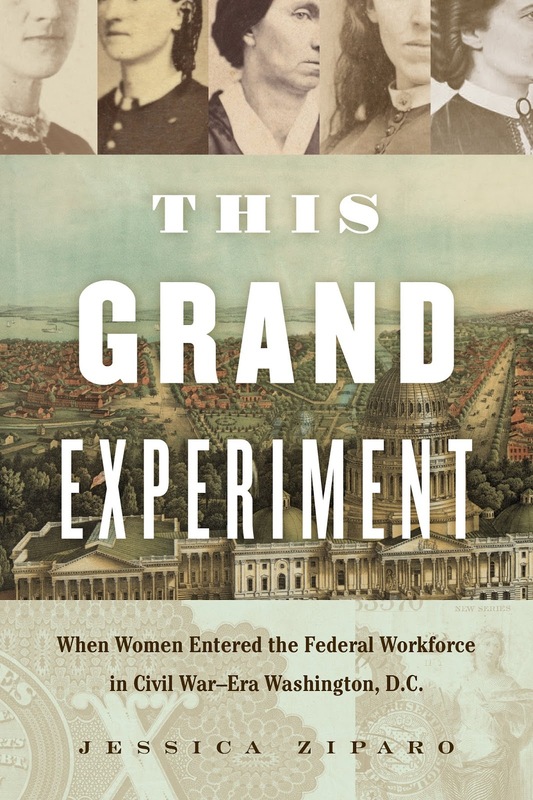 • This Grand Experiment: When Women Entered the Federal Workforce in Civil War–Era Washington, D.C. by Jessica Ziparo (UNC Press, 2017). Ah, the first arrival of the new year (though it was a 2017 release). "In the volatility of the Civil War, the federal government opened its payrolls to women. Although the press and government officials considered the federal employment of women to be an innocuous wartime aberration, women immediately saw the new development for what it was: a rare chance to obtain well-paid, intellectually challenging work in a country and time that typically excluded females from such channels of labor. Thousands of female applicants from across the country flooded Washington with applications." Jessica Ziparo's This Grand Experiment "traces the struggles and triumphs of early female federal employees, who were caught between traditional, cultural notions of female dependence and an evolving movement of female autonomy in a new economic reality. In doing so, Ziparo demonstrates how these women challenged societal gender norms, carved out a place for independent women in the streets of Washington, and sometimes clashed with the female suffrage movement." Additional chapters look at the application process, what life was like as a female federal clerk in wartime, their reputations, their fight to keep their jobs once the Civil War concluded, and their arguments for equal pay. "Examining the advent of female federal employment, Ziparo finds a lost opportunity for wage equality in the federal government and shows how despite discrimination, prejudice, and harassment, women persisted, succeeding in making their presence in the federal workforce permanent." Author Q&A - Jonathan White on "Midnight in America: Darkness, Sleep, and Dreams during the Civil War" and "'Our Little Monitor': The Greatest Invention of the Civil War"
Jonathan W. White (pictured at left) is associate professor of American Studies at Christopher Newport University and a senior fellow with CNU’s Center for American Studies. 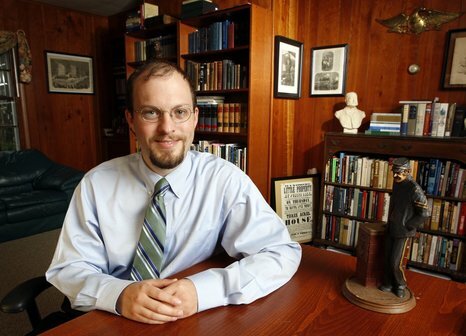 He's also one of the field's best, most interesting, and increasingly prolific young historians. His current list of Civil War related titles includes A Philadelphia Perspective: The Civil War Diary of Sidney George Fisher (2007), Abraham Lincoln and Treason in the Civil War: The Trials of John Merryman (2011), Emancipation, the Union Army, and the Reelection of Abraham Lincoln (2014), and Midnight in America: Darkness, Sleep, and Dreams during the Civil War (2017). Emancipation was a finalist for both the Lincoln and Jefferson Davis book prizes, and it won the honor from the Abraham Lincoln Institute in 2015. It was also the CWBA Book of the Year. 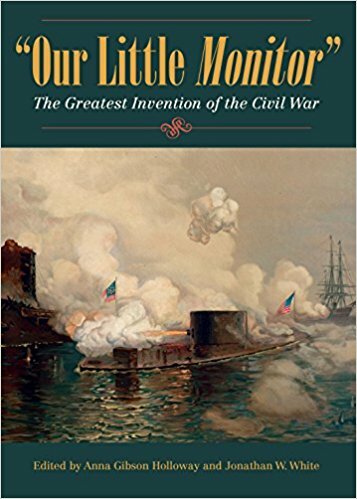 Midnight in America (UNC Press) has also garnered wide praise, and that current title is the subject of this interview, as well as the upcoming Our Little Monitor: The Greatest Invention of the Civil War (Kent St UP, 2018) with co-author Anna Gibson Holloway. DW: Many Civil War scholars settle into a somewhat predictable pattern of interests, but each new book from you seems to differ radically from what came before it. Is this by design? JW: I have to confess that I’ve not been systematic in how I’ve chosen my topics. I have a file on my computer with about a dozen book ideas—things I’d like to write about some day. Any time I am doing research I keep an eye out for materials that might be useful for those other projects, and if I find anything I tuck it into the file for later use. Usually as I am finishing up a project I have a sense of which one I’ll choose next from that list. While my training is in political and constitutional history, I have a lot of varying interests when it comes to the Civil War. I think the main thing that guides me is that I don’t want to rehash what other historians have written. So I’ll probably never write a biography of Lincoln or Grant. But if I can find aspects of Lincoln’s life that haven’t explored in much detail—those are the sorts of questions that get me excited about writing. DW: What prompted you to write a book about the American Civil War and dreams? JW: One of my favorite history books is Joseph J. Ellis’s Founding Brothers, which won the Pulitzer Prize a number of years ago. In it, Ellis describes how Thomas Jefferson and John Adams renewed their friendship in the early nineteenth century, in part by sharing their dreams with each other. 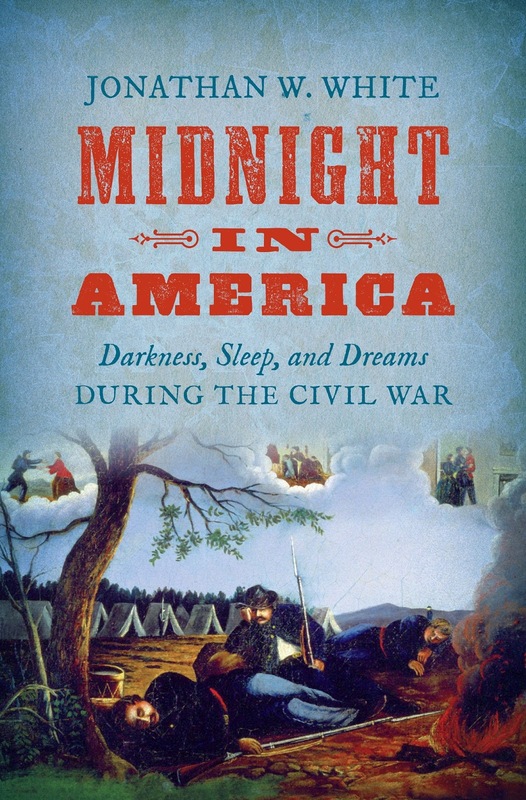 I remember reading that about 10 years ago and thinking that I would like to write a history of the Civil War through the dreams of the people who experienced it first hand. I started collecting dream reports in letters and diaries around 2008, but I quickly realized that I wouldn’t be able to do a grand narrative of the war through dreams. So instead I kept searching for dream reports until certain patterns emerged. At that point I arranged the research into topical chapters. DW: What are the major themes of Midnight in America? JW: I think the single most important theme is “home.” When soldiers went to sleep at night they were thinking about home. And dreams of home were probably the most common dream experience for soldiers. Dreaming of home gave soldiers a chance to visit with loved ones, to taste homemade cooking, and to escape from the stresses of the battlefield. But equally important, when soldiers saw their wives and children in their dreams they experienced a visual reminder of why they were fighting and who they were fighting for. In an almost tangible way, I think that dreams of loved ones help motivate and sustain soldiers through four very long years of war. DW: It sort of goes without saying in modern times that no one wants to hear about your dreams. What compelled the Civil War generation to correspond about them so extensively? JW: It’s funny that you ask that because I’ve been asked about my dreams during the Q&A at several of my public talks, and on a few occasions I’ve had people tell me about their dreams—sometimes with a little too much detail! As for the Civil War generation, this was a culture that was deeply interested in supernatural and spiritual aspects of life. Dreams were a big part of that. For soldiers, another part of the equation was just how vivid their dreams were. Modern sleep research has found connections between exhaustion and the vividness of dreams. I would guess that soldiers were experiencing some really vivid and exciting dreams because of the exhaustion that they faced in the field. And when they had vivid dreams of home they naturally wanted to write home about them. DW: Did you find in the source material broad commonalities in dream imagery? JW: Imagery in dreams is something that a lot of people paid attention to in the nineteenth century. They had manuals and dream books that could tell you what your dreams meant. And belief in symbolism was very widespread. Often dreamers remarked on the “opposite” nature of dreams symbols. For instance, if you dreamed of a wedding it meant that you should expect to attend a funeral soon, or if you dreamt about death then things would be all right in your life. In the book these ideas comes out the most in the chapter on slaves’ dreams because slaves and ex-slaves often discussed the symbolism they saw in their dreams. One of the most surprising things I found, though, was that white Americans tended to have the same beliefs about dream symbolism as black Americans. On the one hand many whites looked down on African Americans for placing too much credence in their dreams, but at the same time there were plenty of white dreamers who looked to African Americans to discern the meanings of their dreams. DW: Most Civil War readers are familiar with soldier premonitions of death. Are there other connections between the dream world and the living world that Civil War soldiers and civilians took seriously? JW: As might be expected, the dreams of Civil War-era Americans tell us a lot about the worries and anxieties people experienced during the war. Fears of marital infidelity often materialized in dreams. It’s interesting, though, that soldiers and civilians did not always make the connection between their dreams and their waking hours. One example has really stuck out to me. I found an Arkansas soldier who had a dream in January 1863 about his aunt treating a black man with respect. The soldier was very politically aware—he knew about things like the Emancipation Proclamation. But when he described the dream in a letter to his parents he told them he didn’t know what it meant. Clearly he was thinking about the social revolution that was beginning to take place in the country and it was having an effect on his sleeping brain. But when he remembered the dream the next morning he didn’t connect it to his fears of black equality. 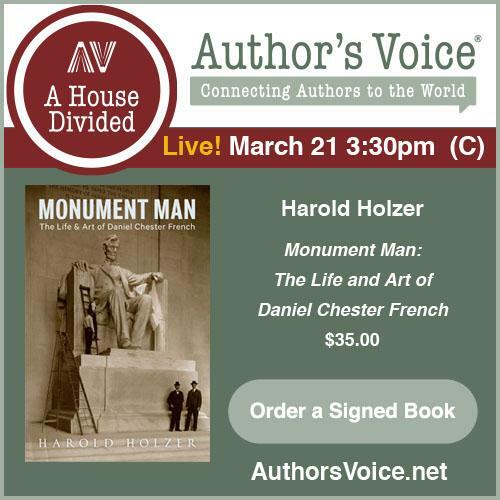 DW: Abraham Lincoln is surely the most famous Civil War dreamer. What new information or interpretation does your book contribute to that topic and discussion? JW: Lincoln is said to have had some really astounding dreams connected to his assassination. I think that one of them is authentic but I think that others are fabrications. One of the most famous stories is that Lincoln dreamt of his own funeral in the White House. Using digital sources I was able to track down some very early iterations of that dream. I think it was fiction, but I know there are some Lincoln scholars out there I have yet to convince. DW: Your next book, co-authored with Anna Gibson Holloway, concerns a well-known part of Civil War naval history, the USS Monitor. How will this study differ from previous works on the subject? JW: Anna and I are really excited about this project. For years Anna was a vice president at The Mariners’ Museum, in Newport News, Virginia, and curator of the USS Monitor Center. So she was responsible for how the artifacts from the Monitor’s wreck site were displayed to the general public, and worked side by side with the archaeologists from the National Oceanic and Atmospheric Administration (NOAA) and the conservation team at The Mariners’. I think she knows more about the Monitor and the Battle of Hampton Roads than almost anyone else living. Our book brings together a lot of topics on the Monitor that have received less attention from other historians. We have the well-known story of the construction and the battle, but then we also bring in how the Monitor has been a part of American popular culture since 1862 and also new things that have been discovered in the conservation process over the last decade or more. DW: Are there significant Monitor-related document collections that have been underutilized or overlooked altogether by previous authors? JW: We have some archival sources in the book that have never been used before, including eyewitness accounts of the battle and of the sinking. We were also able to locate materials that naval historians would not normally utilize. For instance, we have a wonderful story of a Union soldier who was court-martialed for fleeing when the CSS Virginia first emerged in Hampton Roads. The poor guy was so terrified that he ran into the woods. He later blamed it on a woman—he said that he was trying to protect her. But the military officers presiding over his trial knew better and sentenced him to hard labor at Fort Wool for the remainder of his enlistment. DW: Study of another technologically advanced Civil War vessel, the CSS Hunley, has benefited immeasurably from close integration of the more traditional avenues of historical inquiry with new advances in conflict archaeology and anthropology. Is this also the case with your Monitor research? JW: Yes, absolutely. And this is where Anna’s experience was crucial. She worked closely with the people who were involved in bringing the turret out of the Graveyard of the Atlantic, and she has been intimately involved in the conservation process and thus we have been able to combine traditional academic research with newer approaches. She views the Monitor, as well as other war wrecks, as multi-layered maritime cultural landscapes that are both physical and cognitive, stretching through space and time. Her expertise in these regards gives the book something that I think will be new and exciting for most Civil War readers. DW: For the final question, what are you working on now? JW: I’ve got a few projects going right now. Over the last year and a half I’ve been working with a talented student of mine to edit the letters of a student at Dickinson College during the Civil War. These letters have never been published but they offer a really incredible window into northern middle class civilian life. I am also co-editing a volume of essays on Ex parte Milligan, the landmark 1866 Supreme Court case that held that it was unconstitutional to try civilians in military courts when the civil courts were open and functioning. But my big book project is a biography of an alleged slave trader named Appleton Oaksmith. Oaksmith was a nineteenth-century adventurer who traveled all over the world in the 1850s and then got himself into a heap of trouble during the Civil War. The Lincoln administration arrested him for fitting out ships for slaving voyages in 1861 but he broke out of jail and became a Confederate blockade runner. Along the way he had a number of daring exploits on the high seas. I’m hoping that his story will catch the attention of a broader reading public, and I think it would make a wonderful television miniseries. I’ve written more than 200 pages of the story and I plan to finish writing sometime this spring. Over quite a long period, I've corresponded with historian James Jewell here and there regarding Far West Civil War topics, much of the time discussing his research and writing on the First Oregon Cavalry (and the task of finding a publisher for it!). I hadn't heard from him in a while and was equal parts surprised and delighted to discover this week that his efforts will soon bear fruit. The online release date for Jewell's On Duty in the Pacific Northwest during the Civil War: Correspondence and Reminiscences of the First Oregon Cavalry Regiment is in March, but the print catalog I just received in the mail today from UT Press has August for the month of publication. Their long-running Voices of the Civil War series will be a good home for it I should think. From the book description: "From 1862 to 1865, twenty-six hundred miles away from the seat of the federal government in Washington, DC, the First Oregon Volunteer Cavalry Regiment offered aid to the Union cause in the American Civil War. The First Oregon Cavalry confronted a host of complex challenges unseen by their counterparts serving in a more traditional role in the East. Their battles were more often with Native Americans—and often more concerned with their own status in the territory than with the Civil War rending the nation—while searching for pro Confederate spies and sympathizers. However unsung during the war, the regiment carried out their responsibilities successfully, managing to expedite the development of the Pacific Northwest in the process." The Civil War era U.S. Army as important player in the economic growth and development of the Far West is getting to be a common theme. Particularly strong at this point is the scholarship surrounding the California Column and the great boost its officers and men (both in and out of service) provided to the Desert Southwest's progress and development. It certainly is indicated here that Jewell's work will extend this line of study to the Pacific Northwest. More: "On Duty in the Pacific Northwest during the Civil War introduces readers to the first regiment from the Pacific Northwest to serve the Union cause. James Robbins Jewell offers a glimpse into the lives of these soldiers, presenting their wartime letters to various northwesterners to share their experiences with loved ones at home. Complete with a series of reminiscences and excerpts from memoirs by First Oregon Cavalry officers and soldiers, On Duty in the Pacific Northwest during the Civil War is the first collection of primary source materials from soldiers serving in this Far Western territory. Jewell’s first-rate collection enables readers to step directly into the Pacific Northwest of the early 1860s and experience the Civil War from a different perspective." Review of French - "PHANTOMS OF THE SOUTH FORK: Captain McNeill and His Rangers"
Steve French's Phantoms of the South Fork is the first full study of the Civil War operations of John Hanson "Hanse" McNeill and his company of Confederate rangers to appear in the literature since Roger Delauter's slim H.E. Howard series volume published back in 1986. Initially recruited in September 1862 as a company of the 1st Virginia Partisan Rangers, Captain McNeill took advantage of the Partisan Ranger Act passed by the Confederate Congress earlier in the year, and in early 1863 he and his men embarked on an independent career that would last for the balance of the conflict. Though McNeill himself was mortally wounded in action near Meem's Bridge in October 1864, his young son Jesse took the reins and led the rangers through the end of the war. Between 1863 and 1865, McNeill's Rangers patrolled the oft contested Potomac Highlands, their area of operations roughly bounded by the Virginia-Maryland border to the north, the North Branch of the Potomac to the west, the town of Moorefield to the south, and the Cacapon River to the east. The great bulk of Phantoms is composed of author Steve French's descriptive accounts of the ranger outfit's many irregular missions conducted throughout the area indicated above. Incorporating firsthand military and civilian records from both sides, these chapters are detailed and well composed. A favorite target of the rangers was the Baltimore & Ohio Railroad. During the second half of the war, McNeill's company regularly attacked B&O trestles, locomotives, cars, and armored trains, causing frequent disruption (albeit short lived) to that vital Union logistical artery. McNeill also exasperated Union military authorities by constantly attacking and inflicting heavy losses on federal patrols, foraging parties, and wagon trains. Though instances of direct collaboration with large bodies of fellow Confederate forces were infrequent, the rangers often fought alongside small detachments from regular cavalry regiments and at particular moments (ex. during the Gettysburg and 1864 Shenandoah campaigns) assumed an important role in screening the open western flank of major movements east of the mountains. The book does a very good job of describing and highlighting the full range of military activities performed by the rangers, who proved remarkably adept at scouting, raiding, supply gathering, and ambushing enemy columns, all the while keeping their own casualties to a minimum. As one might expect, the volume offers a full account of the rangers's most celebrated wartime exploit, the February 1865 simultaneous nighttime capture and successful spiriting away of major generals Benjamin Kelley and George Crook right under the noses of the Union garrison at Cumberland. French also offers some interesting background information on McNeill. Many readers are likely unaware that the Virginia-born McNeill fought extensively with the Missouri State Guard in 1861 before being captured and incarcerated in St. Louis. In June 1862, he and his son Jesse managed to escape military prison and return home to Virginia to embark on their better-known partisan careers. 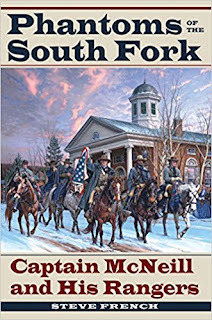 McNeill's high level of success as partisan chieftain invites favorable comparison with the much more famous John S. Mosby, and French builds a strong case in his book that the exploits of McNeill's Rangers ought to place them in the first rank of Confederate partisan units. In terms of leadership quality and achievements in the field there seems little to choose between the Mosby and McNeill ranger bands. Though Hanse himself was dead by the time the event occurred, one could argue that his rangers's capture of high-ranking generals Kelley and Crook was a far more significant and impressive feat than Mosby's much celebrated seizure of General Edwin Stoughton (similarly rousted from bed and taken captive) in March 1863. In addition to not dying during the war, Mosby clearly benefited from better press and his association with Jeb Stuart. He also was much closer to the eastern theater's center of gravity, operating in the rear of the Army of the Potomac and in the Shenandoah. All of these factors helped ensure that Mosby would have a leg up in the competitive arena of historical memory. Given the current scholarship's generally negative portrait of the irregular war and its practitioners, an appropriate question to ask is whether McNeill's Rangers more hindered or helped the Confederate cause. The Partisan Ranger Act was always controversial. Many professional officers believed that the legislation would lead to lawlessness on the home front and demoralization in the conventional service, dual fears that all too often were realized in full. Citing the freedom from army discipline and independence of partisan commands as encouraging regular soldiers to desert, there were determined attempts by General Thomas Rosser and others to disband McNeill's command, all of which failed because they lacked ultimate approval from the War Department. Robert E. Lee himself seemed to be of two minds when it came to McNeill, directly praising the ranger's accomplishments while condemning partisan warfare in general. Though such small bands could never damage enemy-controlled infrastructure for long periods of time, McNeill's Rangers did force B&O authorities to expend a great deal of resources in repairing damage and drew to rail defense large numbers of enemy troops that could have been put to good use elsewhere. As the book well demonstrates, during the conflict the rangers killed, wounded, or captured many times their own number of enemy soldiers. They also acquired large quantities of badly needed arms, accoutrements, wagons, horses, and livestock, much of which they turned over to Confederate authorities. Their sheep and cattle transfers did much to feed otherwise supply-challenged regular Confederate forces in the Shenandoah. While the presence of the rangers may have tempted other fighting men to escape regular service, French's study offers little evidence that the rangers did much to alienate the local population from supporting the Confederate cause. On balance, it appears that McNeill and his men were uncommon exemplars of Partisan Ranger Act intentions. There are a few complaints with the book. The maps in Phantoms are adequate in portraying the extent of McNeill's reach and the major geographical points within his primary stomping grounds, but it would have been helpful if additional smaller scale maps depicting particular operations had been included. To be fair, there is a raid map for the Kelley-Crook nabbing along with a pair of archival sketches that are difficult to read (as so often is the case with hand-drawn map reproductions resized to fit on the printed page). The book also ends rather abruptly, and it could have used a concluding chapter that brings everything together in terms of assessing the effectiveness of the rangers and their overall impact on the course of the war in the region (and perhaps beyond). Given the environment's critical role in any irregular war, a more detailed examination of the region's topography might also have been in order. In the Potomac Highlands, there were adequate farm lands available to support the guerrillas with food but also more than enough wilderness to provide necessary cover and shelter. The region's gaps, mountains, valleys, forests, and vegetation comprised perfect terrain for small-unit hit and run attacks, and this natural environment undoubtedly represented a key factor behind the success of the rangers. The book is chiefly concerned with the military impact of McNeill's Rangers, so what happened to civilians when the guerrillas weren't present is mostly beyond the scope of the work. Given the mixed loyalties of the Highlands population living along the borderland between Virginia and what would become West Virginia, there existed great potential for a volatile combination of revenge and reprisal. The book does certainly describe several isolated incidents of robbery, abuse, and murder, but the reader does not on the whole gain a sense of how Potomac Highlands society fared in comparison to other guerrilla-infested border regions, many of which have been subjected to extensive modern study and analysis. Phantoms of the South Fork is another great addition to Kent State's uniformly excellent Civil War Soldiers and Strategies series. 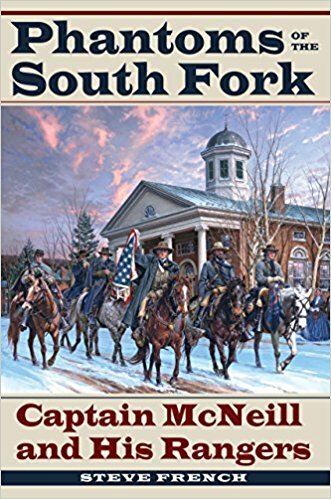 Steve French's through documentation of the wartime exploits of McNeill's Rangers appropriately raises the historical stature and significance of the unit to levels on par with more celebrated Confederate partisan bands, such as Mosby's Rangers. Beyond its substantial value as a biographical treatment of John Hanson McNeill and its assumption of the role of new standard work on the topic of McNeill's Rangers, the volume also serves as a useful military record of the Civil War years in the rugged Potomac Highlands. Recommended.